S04E08 – Agnès poirier – So French! We are having a coffee with author Agnès Poirier in the fancy Café de Flore. 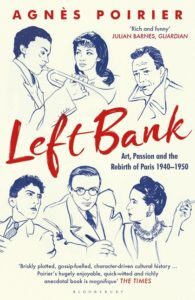 She is a journalist and writer of “Left Bank”, a lively account of the intellectual and artistic life in post-war Paris.